Written by two-time Pulitzer Prize winner and Tony nominee Lynn Nottage and directed by Bay Street Theater Artistic Director Scott Schwartz. 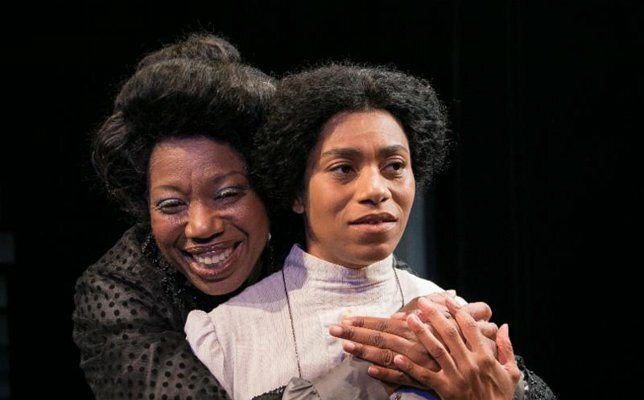 Sag Harbor, NY - July 3, 2017 - Bay Street Theater is pleased to present INTIMATE APPAREL (July 4 - July 30) by two-time Pulitzer Prize winner and Tony nominee Lynn Nottage and directed by Bay Street Theater Artistic Director Scott Schwartz. Kelly McCreary, currently one of the stars of Grey's Anatomy on ABC, stars as Esther Mills. Tickets are available by calling the Box Office at 631-725-9500 11 am- show time daily or online at www.baystreet.org. Previews sponsored by Peconic Landing. On Tuesday, July 4, there will be a "Pay What You Can" Performance with tickets available at the box office for in person purchase starting at 11 am. 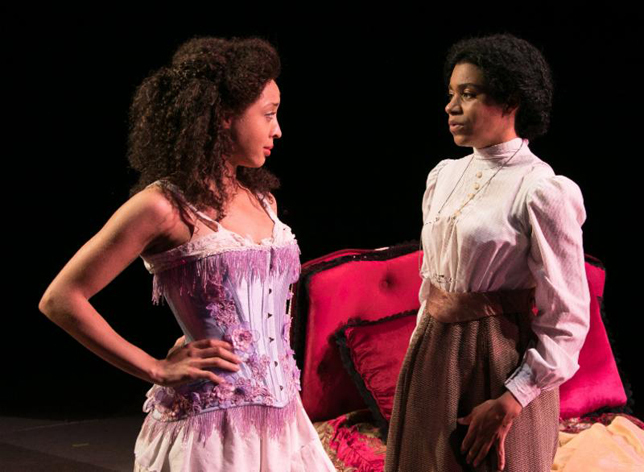 In INTIMATE APPAREL, it's a delicate line between love and desire. Esther Mills is a skilled African American seamstress and has her own successful business in 1905 making lingerie for both society ladies and "ladies of the night." But she is lonely. As she searches for something more in her life, she unearths truths long hidden in the deepest recesses of her heart. All her relationships will be changed forever, from a poetic love with a Caribbean laborer working far away on the Panama Canal, to complicated friendships with different women in her life, to a growing bond with a Hasidic shopkeeper who shares his exquisite finds of fabrics and maybe something deeper. In addition to Kelly McCreary (Grey's Anatomy, Passing Strange) as Esther, the cast also stars Portia (Ruined, McReele, Our Lady of 121st Street) as Mrs. Dickson, Blake DeLong (Othello, Natasha, Pierre and the Great Comet of 1812) as Mr. Marks, Julia Motyka (Bay Street's Travesties, Richard III) as Mrs. Van Buren, Edward O'Blenis (Uncle Vanya, Tall Grass) as George, and Shayna Small (The Colored Museum) as Mayme. The creative team includes Michael Holland (Composer), Jeff Cowie (Set Designer), Mike Billings (Lighting Designer), Emilio Sosa (Costume Designer), Jill B.C. Du Boff (Sound Designer), Meg Murphy (Hair/Makeup Designer), Andrew Diaz (Props Designer), Gwen Gilliam (Production Stage Manager) and Stephen Gabis (Dialect Coach). Casting by Stewart/Whitley. Kelly McCreary (Esther) is a rising star in Hollywood. She currently resides at Seattle Grace where she joined the cast of "Greys Anatomy" at the end of Season 10 as Dr. Maggie Grace. Before Grey's Anatomy, Kelly was seen on "Scandal," "Castle," "Emily Owens M.D," "I Just Want My Pants Back," "White Collar," "Rubicon," and "Cyberchase." Recently, Kelly portrayed the role of "Eartha Kitt" in the indie film "Life" opposite Dane DeHaan and Robert Pattinson. Her other film credits include: "Baby Baby Baby," "Being Flynn," and "How to Follow Strangers." Onstage, Kelly has appeared in Broadway's Passing Strange, Perfect Harmony at Theatre Row, Secret Order with the Merrimack Repertory Theater, and A Midsummer Night's Dream and Eurydice with the Williamstown Theatre Festival. Kelly is a graduate of Barnard College in New York and also has trained at the Chautauqua Conservatory Theatre Company, British American Drama Academy in London, and The Actor's Center in New York. Scott Schwartz (director) is the Artistic Director of Bay Street Theater. As a director, he has worked on and off-Broadway, in major regional theaters across the country, and in the UK, Germany and Japan. On Broadway, he directed Golda's Balcony and Jane Eyre (co-directed with John Caird). Off-Broadway, he directed Murder for Two, Bat Boy: The Musical (Lucille Lortel and Outer Critics Circle Awards, Outstanding Off Broadway Musical; Drama Desk Award nomination, Outstanding Director of a Musical), tick, tick...BOOM! (OCC, Outstanding Off Broadway Musical; Drama Desk nomination, Outstanding Director of a Musical), Gigantic (Vineyard), The Foreigner (Roundabout), Rooms, Kafka's The Castle (OCC nomination, Outstanding Director of a Play), and No Way to Treat a Lady. At New York City Opera he directed Séance on a Wet Afternoon. The regional theaters he has worked at include ACT, Alley, Alliance, Berkshire Theatre Festival, Dallas Theatre Center, Denver Center, 5th Avenue, The Geffen, Goodspeed Opera House, La Jolla Playhouse, Old Globe, Paper Mill Playhouse, Pasadena Playhouse, Philadelphia Theatre Company, Portland Center Stage, Signature, Theatre Under the Stars, and Westport Country Playhouse. He is a member of the Stage Directors and Choreographers Society and a graduate of Harvard University. The 2017 Mainstage Season is sponsored in part by New York State through the generosity of Assemblyman Fred Thiele and State Senator Kenneth P. LaValle; the New York State Council on The Arts, a State Agency; Town of Southampton; The Harold and Mimi Steinberg Charitable Trust; The Shubert Foundation; and public funding by Suffolk County. 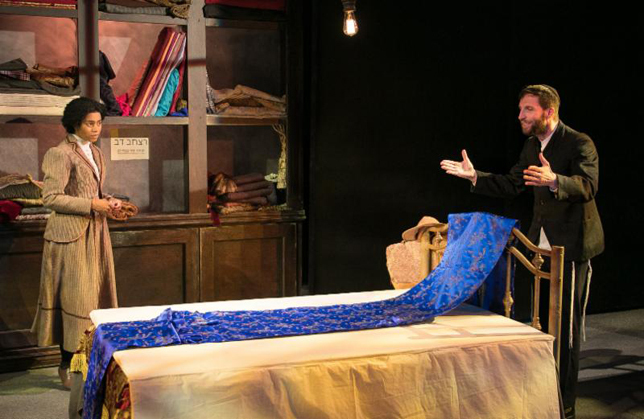 Support for new work comes from The New Directions Fund and the Joseph Stein New Musical Fund. Subject: LongIsland.com - Your Name sent you Article details of "Bay Street Theater Presents "Intimate Apparel" July 4 - July 30"